Equestrian and philanthropist Georgina Bloomberg, along with Event Co-Chairs, cordially invite you to be part of Jump for Home Safe – a new and exciting equestrian event supporting Home Safe. The event takes place Saturday evening, February 5, at the Palm Beach International Equestrian Center. 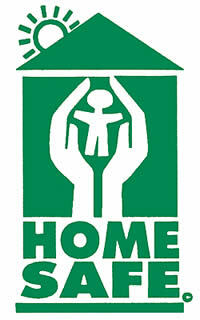 Home Safe is a vitally important non-profit organization helping victims of child abuse and domestic violence. Each year, Home Safe serves over 14,000 people in Palm Beach County and surrounding areas. A fun warm-up to Jump for Home Safe is the Country Western Kick-off Party at the White Horse Tavern on Friday, January 7. The happy hour party, from 6-9 p.m., serves as the start of the official countdown to the February 5 event. Admission is only $20 and offers a great selection of hors d’oeuvres, plus energetic live music by Uproot Hootenanny. The kick-off party is an excellent opportunity to socialize and reunite with your equestrian friends and business colleagues from past WEF seasons. Jump for Home Safe is limited to only 225 people, so secure your seats and sponsorship packages as soon as possible. For more information, visit www.JumpForHomeSafe.org or call 561-383-9800, ext.1309.